Over the past 5 years or so, consumer product startups have been slowly but steadily picking pace in India. While their scale might be significantly low in comparison with e-commerce, ride-sharing or food delivery startups, their seems to be a lot of action in the space. India’s FMCG market is pegged to be around $185Bn. Traditionally, the large players in FMCG/CPG space have operated by owning a massive distribution pipe (Wholesalers, Distributors & Retailer), doing massively expensive marketing campaigns and selling commoditised products. All of this is starting to change. 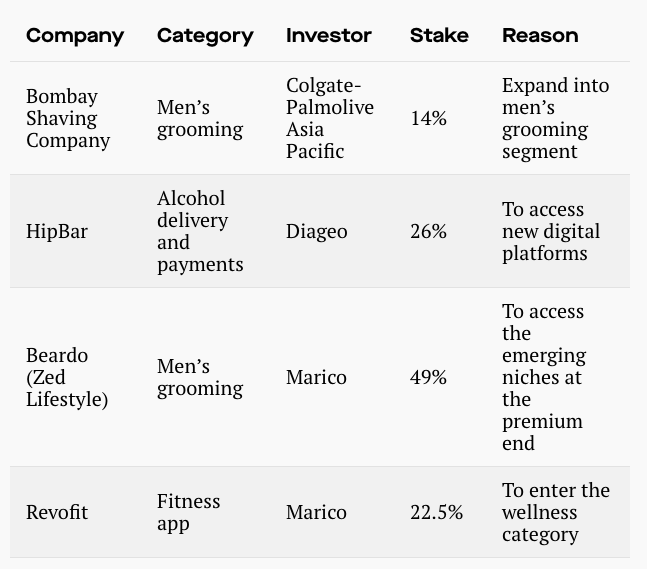 That smaller startups are trying to disrupt incumbents extended to FMCG category is a natural after effect of the internet penetration and the subsequent second-order effects. Also, as shown below, the CPG brands globally are infamous for their lack of innovation. Given the rising discretionary spends and ability for internet to help micro target, upstart startups can now decide to make products not for a mass segment but for niche consumers subset. For ex: Instead of making Real or Tropicana Juices aimed at all and sundry, there can now be Raw Pressery or Paper Boat aimed at premium/niche segment of the market. Since the target segment is a smaller niche, it fundamentally changes how companies approach Production, Marketing and Distribution. Innovation (Loved by a few vs liked by a lot): Given a niche customer segment, a startup can focus on making a great product that their customers will really love over a good/slightly better than average product that a lot of people will be fine using. Production (Lower Upfront Fixed Cost Requirements): Unlike earlier times, a startup can now think of starting small and launching few niche products with a reasonable manufacturing setup and invest in production as they grow. Marketing (Lower Variable Costs): A startup these days can get the wheels of marketing rolling but starting with ads on Google, Facebook, Instagram and others with a much smaller budget. 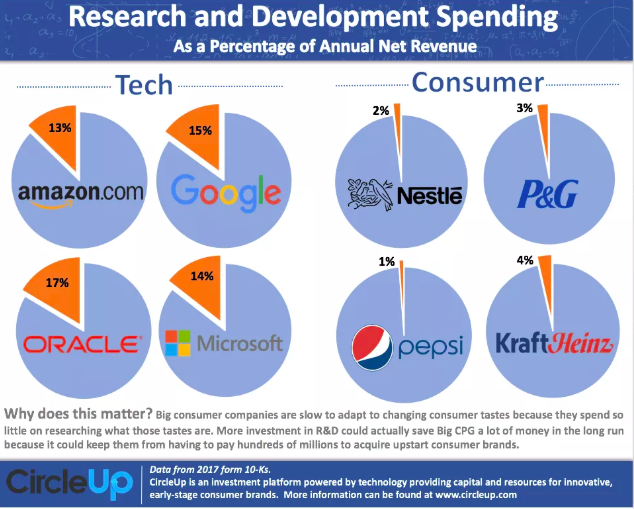 Another aspect of marketing is the solid brand proposition that most niche CPG startups are able to drive due to their innovative offering. Distribution (Lower Upfront Fixed, and Variable Costs): Compared to earlier times of building a comprehensive retail supply chain across the state/country to store and deliver goods, a startup can get started with minimal inventory and deliver products directly to consumer (D2C) through their website/3rd party marketplaces and scale distribution spends as their traction grows. VC activity in the space has been on rise with some focussed funds like DSG actively investing in startups. DSG has around a dozen investments in India including Chai Point and Raw Pressery. Consumer Goods startups have raised over $152 mn in 2018 (so far). 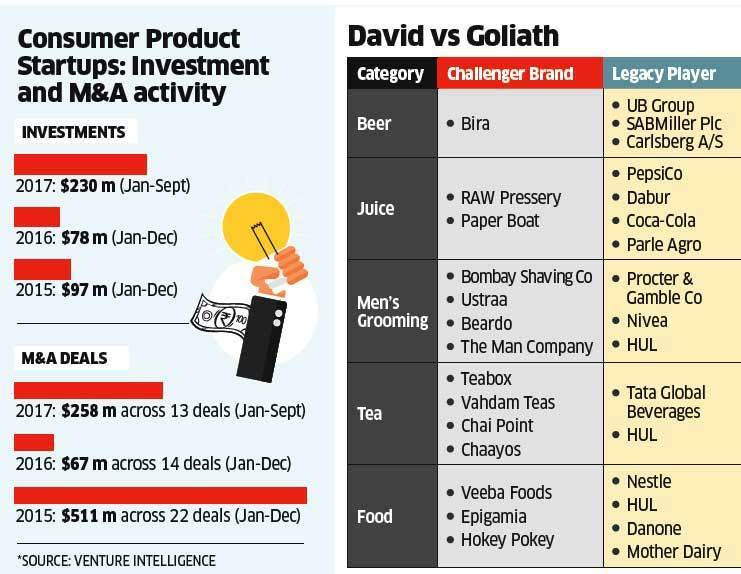 The Bigger brands have also started making their moves in Indian Consumer Goods Startups. Some other players that attracted investments from bigger players Happily Unmarried’s Ustra (Wipro Consumer Care) and Forest Essentials (Estée Lauder). The biggest player in the D2C category (not FMCG really) that has done exceedingly well in Lenskart. With increasing GDP per capita, better penetration of high-speed internet, increasing transition towards e-commerce fuelled by significant VC funding and some M&A activity, the FMCG space is bound to grow and thrive. It’d be interesting to observe how various startups evolve and make great businesses. 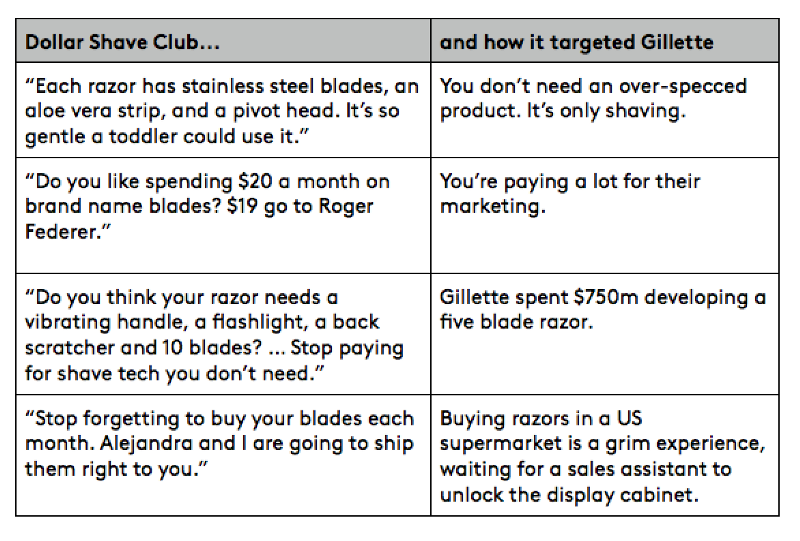 On closing note, here’s the great introductory video by DollarShaveClub that set the ball rolling. This entry was posted in business, FMCG, start-up, Strategy and tagged bira, consumption, cpg, fmcg, india, raw pressery, startups on September 23, 2018 by mayank.